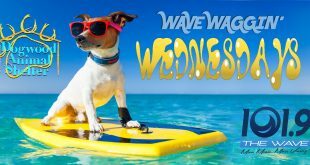 Wave Wake-Up Trivia - 101.9 FM - The Wave! We’ll reward you with with a pair of Marcus Wehrenberg movie passes! Q: 20 years ago, people did this an average of three times a day. Now it’s one or fewer. What is it? Q: According to a recent survey, the average American has 14 tasks that they mean to get to. #1 is odd jobs around the house. What’s #2? Q: With 10 million people, this county has a larger population than 40 entire states. Which county is it? Q: Over 300 million of these are lost every year. What? Q: Almost half of women say they would never give this up for Lent. What? Q: 75% of people believe they have this character trait. What is it? Q: Jimmy Carter and Donald Trump are the only Presidents during the past 100 years who have NOT done this. What is it? A: throw out the first pitch on Opening Day. Q: One third of people say they’ve ruined a relationship with a friend or family member by doing this. What was it? Q: A survey of 4,000 workers found that 10 percent of them do this every hour while they’re at work. What? 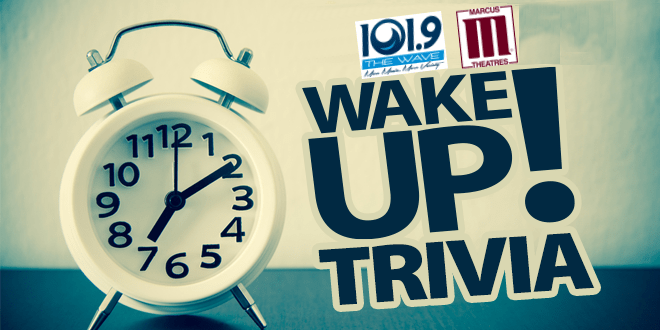 love your morning trivia…I will ask the question for my coworkers and see what replies I get. I missed the answer to one morning and I can not find the answer…Please help! The question was what item is most needed in a dorm room? The answer was “energy drinks”! Thanks for listening and playing along! I heard the trivia question this morning. Uranus, MO is a real city. I went to Springfield last weekend and went through there. Hi Sheri- Yes, Uranus is there but it’s not a real municipality. 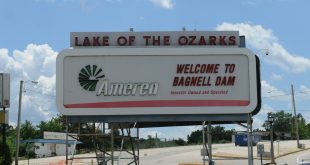 It’s in an unincorporated part of Pulaski County and it’s name is pretty much a tourist thing. Thanks for checking in!